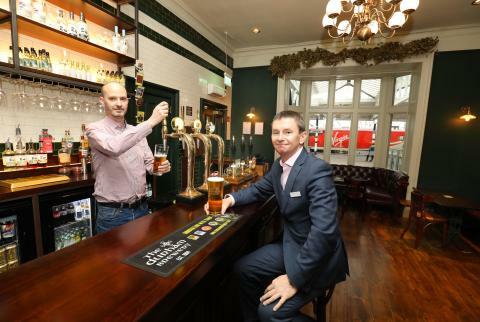 The former ladies first-class waiting room at Durham station has been transformed into an aptly-named alehouse with the help of Virgin Trains. The Waiting Room, located on Platform 2, opened its doors after undergoing extensive renovation work including restoring many original features including two Victorian fireplaces that had been boarded up and caked in several layers of paint. Virgin Trains helped to bring the building, dating back to 1872, back to its former glory paying for the original stonework to be scrubbed down and the structure to be made watertight. 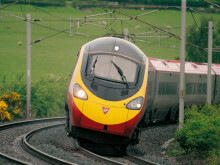 Virgin Trains also provided electricity and drainage to the site. The original bay window has been reinstated and the walls have been painted in a dark green to complement the exposed wood panelling. The owner of The Waiting Room, Graeme Robinson, is a former University Facilities Manager and grandson of a signalman who decided to follow his passion for real ales and open a pub. His love of regional ales is evident with an array of draught and bottled beers from breweries such as Durham, Allendale and Hadrian Border. Credit also is due to the generosity of the Railway Heritage Trust who donated a five-figure grant to the pub.